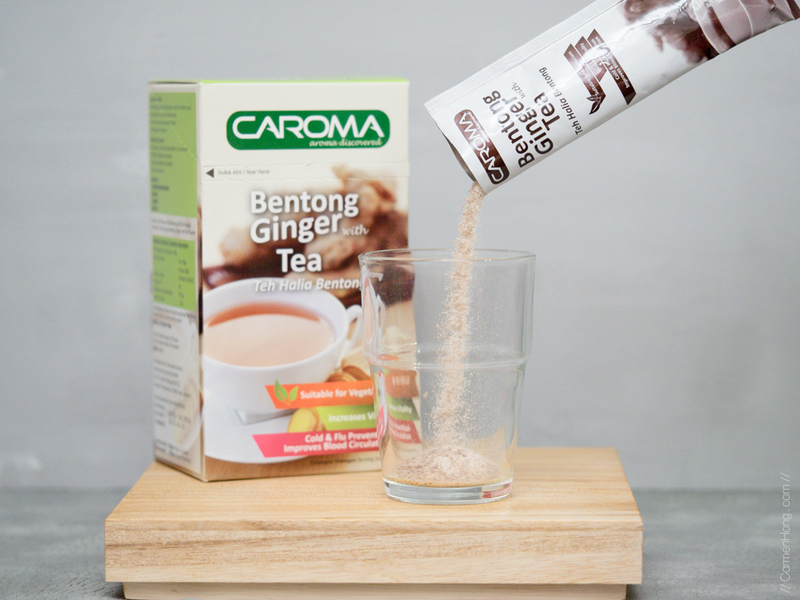 Review : Drink up CAROMA Bentong Ginger Tea, for a healthier you! | It's my life. 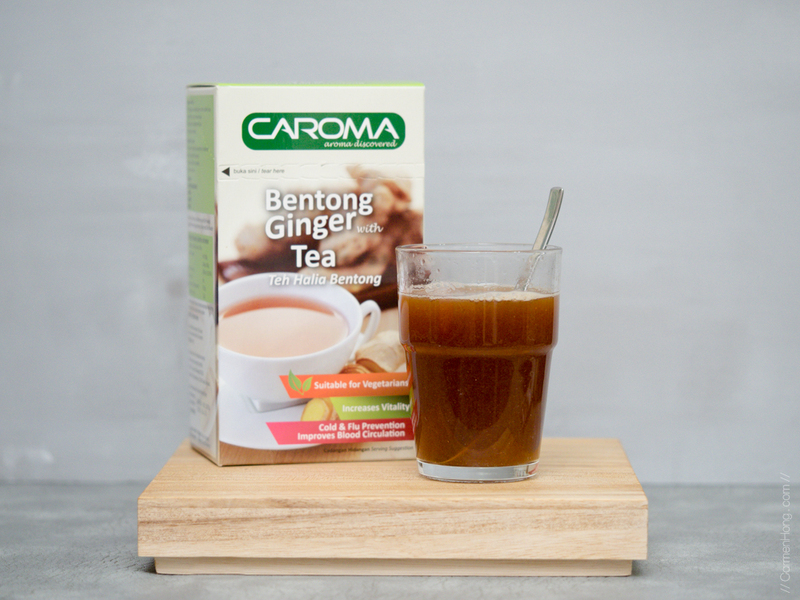 Review : Drink up CAROMA Bentong Ginger Tea, for a healthier you! Growing up, I have always thought of ginger as a mythical food because I couldn’t comprehend how a root can taste so spicy when eaten. Needless to say, I was not a huge fan of ginger. Till today, I avoid eating ginger if I have a choice not to. But the health benefits of ginger is endless, a simple Google search on the “Benefits of Ginger” will return you with pages, after pages of information explaining the numerous benefits. Although I was not a fan of eating ginger, I still wanted to reap the benefits of it. One of the possible way to do that is actually through the consumption of – lo and behold! – ginger tea. Similar to consuming ginger, drinking the tea also have many benefits. In the market, there are many different versions of ginger tea. I’ve had the opportunity to try CAROMA Bentong Ginger Tea which a tea, infused with Bentong ginger. The word “infused” may cause you to think that the ginger flavor in the tea is mild. But, it was anything but mild! The ginger taste is prominent, strong and intense. After taking a sip of the tea, I know that the product manufacturer didn’t stinge on the amount of ginger they used to make the tea. 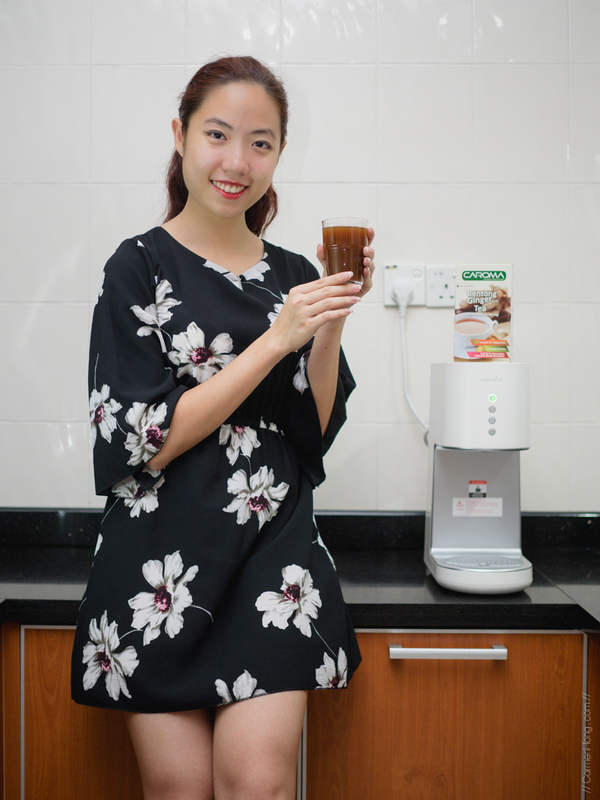 The tea is easy to brew, similar to a 3-in-1 coffee premix where the tea are in sachets and you just need to pour the contents into a cup and add hot water! It’s so simple and easy to make, which definitely beats the old school way of actually cutting ginger and boiling it with your tea. There are in total of 10 sachets in each of the box. As I mentioned earlier, the taste is pretty strong and some might dislike the spicy taste. For me, I felt it was slightly too spicy for my liking. So what I did was simply to add some honey in my tea, to sweeten things up. Alternatively, you can simply increase the amount of hot water. The recommended level was 150ml, which is actually just a small glass. I would prefer the ginger taste to be slightly milder, hence I opted to add in more water… approximately 250ml of water. Digestion | Ginger can help with those that suffer from Irritable Bowel Syndrome as it is known to have a calming effect on the digestive system and helps to relax the intestines during any such episodes. Besides that, it has been proven effective in helping to release gas so it’s recommended to drink some ginger tea before bed and the ginger will work its magic while you’re asleep. Nutrient Absorption | Ginger tea have an ability to aide in the absorbtion of all of the beneficial nutrients in the food that we consumed. When more nutrients are being absorbed, these nutrients can signal your hormones to let the body know when it’s full and that prevents you from actually over-eating. Blood Circulation | Ginger can help thin blood, improving overall circulation. 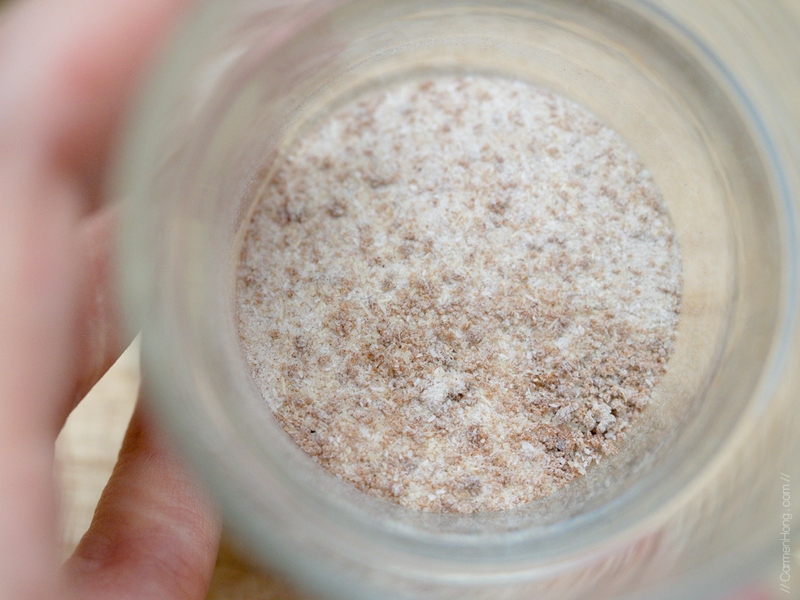 As ginger improves blood flow, it can generate a warm feeling inside the body. If I’m travelling to a cold country, I am going to bring some of these ginger tea to help warm my body up! Natural Pain Reliever | Regardless of the kind of pain you’re experiencing, ginger can act as a natural pain reliever. Along with fighting inflammation that can cause aches and pains, ginger also works on a hormonal level to relief pain. 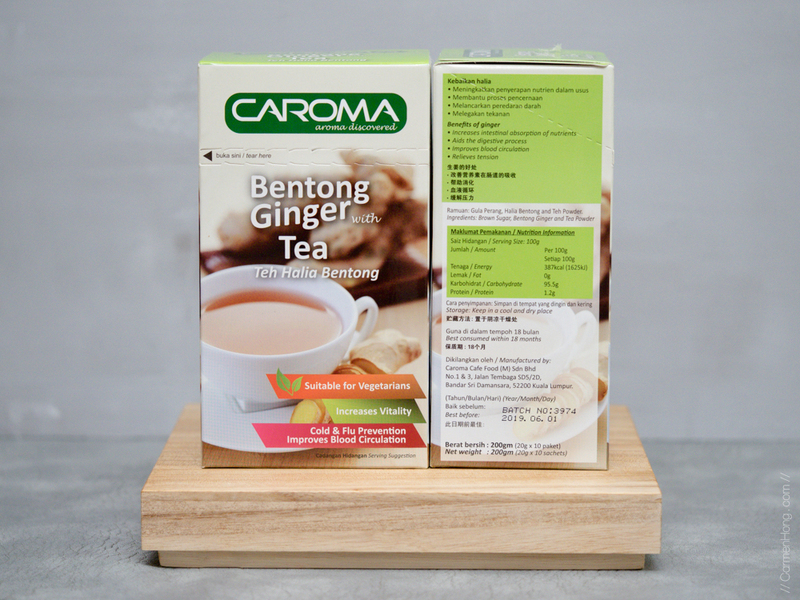 However, for those that prefer to shop online, fret not as CAROMA Bentong Ginger Tea is also available online through 11Street. There is an on-going promotion where you get a free box of 5 sachets with every purchase of 2 boxes. 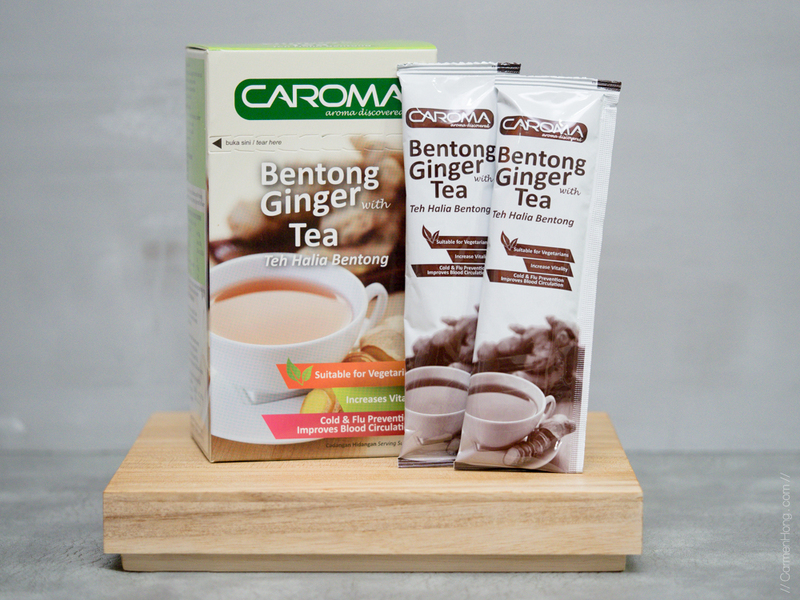 Here’s the link for the online purchase >>>> http://www.11street.my/productdetail/caroma-bentong-ginger-tea-2-box-10-sachets-x-20g-22317742! 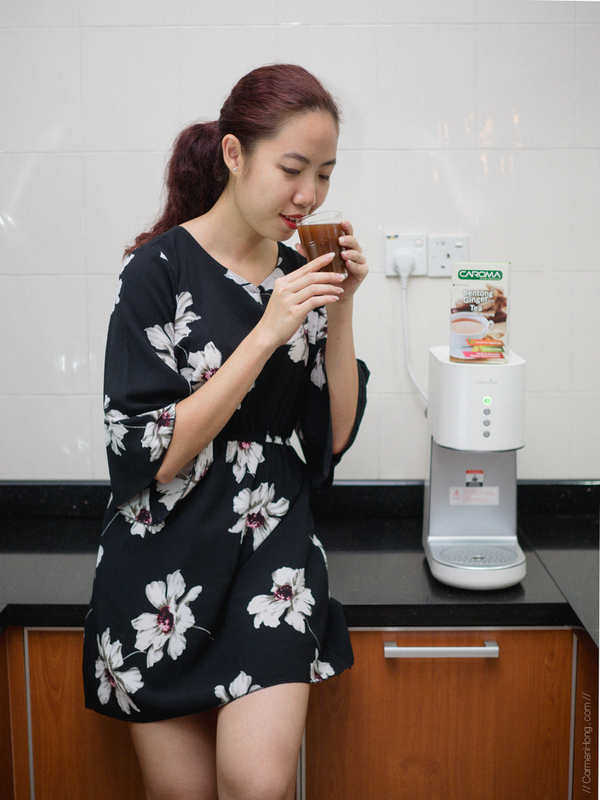 I'll like to end this post with a simple video that I shot of my mom, making this CAROMA Bentong Ginger Tea just to show you how simple it really is to make this healthy drink! I would have to say that its a great drink to consume, especialy when Caroma takes pride in using only naturally grown Bentong Ginger for its products. Being made with the higher quality of ginger, you can definitely taste it in every sip.